The first surprise was the sheer size of the attack on Marawi City by pro-Islamic State fighters. The crisis since – with 360,000 people displaced, and heavy combat into its fifth month – is equally unprecedented, leaving the Mindanao region of the Philippines with new and lasting humanitarian needs. 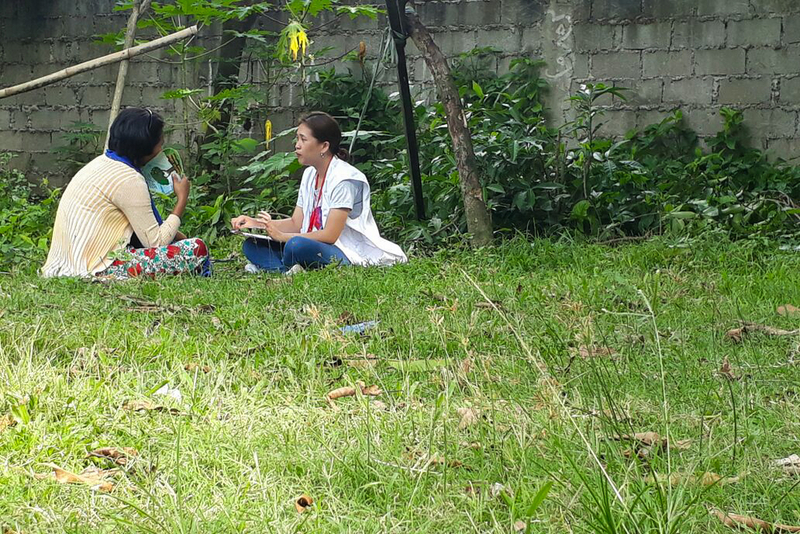 As an MSF emergency response support manager, the trends of conflict in Mindanao have always been on my radar – even after the peace deal signed with the Moro Islamic Liberation Front in 2014 after more than 50 years of civil war. Since then, we sometimes read reports of other armed groups making contact with Islamic State. Since travelling to Mindanao to set up the emergency response, many of the locals told me the same. Few people imagined a sudden takeover of a major city, by hundreds of fighters already embedded across town, with caches of weapons and supplies to last months. And as the army continues to dislodge insurgents, nor did we expect the ruins of Marawi to turn up the bodies of militant fighters from (according to the authorities) Chechnya, Malaysia, Singapore and Yemen. Of the hundreds of thousands who escaped combat, just one in 10 are living in the government-run evacuation camps. We currently support thousands of people who fled to the city of Iligan, about 30km north of Marawi. Some are staying with family and friends, others in warehouses, garages, schools and mosques. One home I visited housed 80 relatives. While their medical needs may not always be acute, they have needs of a different kind: from being evacuees they have become internally displaced people (IDPs), adjusting to the fact that the date of their return home is farther away than any of us assumed. In one of the communities where we work, some 120 families live in an abandoned school. They squeezed into classrooms with no privacy, nor electricity, making the night-time especially tough. All of them were getting water from one garden hose connected to the neighbour’s pipe. Many were buying bottled water for as long as they could afford to. In another location, we came across a group of 17 families living in a garage – sleeping in trucks. There are more organised settlements when the setting allows: in one area, we found a madrasah doing its best to support the needs of around 200 families. But even there, the challenges were stark – again, water and sanitation especially so. The first part of MSF’s response is to make sure people have access to free and clean water. We distribute jerrycans and aquatabs (water purification tablets), repair pipes and toilets, put up showers and build reservoirs so communities can store their water. Our other priority is mental health support. When people first fled, they worried about their immediate needs – water, food, and what their children would do. Now they are more settled, and adjusting to a situation that is outside their control. MSF conducts drawing and play sessions with children at five informal evacuation sites in Iligan City as part of our mental health and psychosocial support programme. Our counsellors try to keep them focused on the parts they do control: on their resourcefulness; on their family ties and life in this newfound and temporary, yet prolonged, community. MSF organise psycho-social activities for the children as well. It can be troubling to see them play-act the actions of soldiers. The stress of their parents also affects them: our teams organise play therapy – to make them feel like kids again. We also hold one-on-one sessions for adults and children who need it. Counselling and water will only get these communities so far, and while Marawi has dropped from international news, the needs of the displaced people will last and only get more severe. As you might expect with such a fluid situation, the collective humanitarian response is uneven from one area to the next, and some areas are still difficult to access. While the authorities and NGOs have all stepped in, none of us expected to be around for this long. All we can do is keep our teams beside communities and hope to reach more as security improves.